Single-stage SC-series process compressor. Photo courtesy of Atlas Copco. Atlas Copco has completed the acquisition of the business of hb Kompressoren Druckluft-und Industrietechnik GmbH, a German distributor and service provider of industrial air compressors and related systems. Based near Stuttgart, hb Kompressoren operates in the southwestern region of Germany. The business is focused on distribution and service of compressors and air treatment systems. 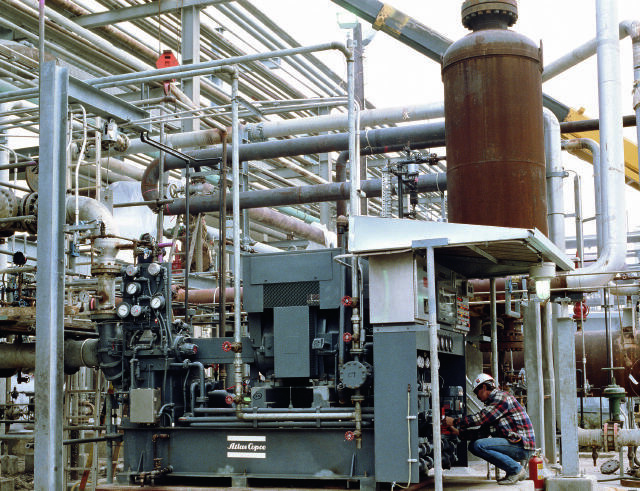 Atlas Copco provides compressed air solutions; industrial compressors; gas and process compressors and expanders; air and gas treatment equipment; and air management systems. The business area has a global service network. Principal product development and manufacturing units are located in Belgium, the United States, China, India, Germany, and Italy. Next articleBasin Energy Group Completes Merger With Appalachian Production Services Inc.